The weather held off and we were blessed with over 30 adults and children helping out getting the oysters to their new home. It was great seeing people connect with the water and see the life in it. Our boat driver said he had several people who were helping drop the oysters say they had never seen the Harbor up close in this way. We are glad to have provided the opportunity and hope they will pursue other opportunities to capitalize on this resource such as visiting Spectacle Island. Our volunteers hard at work. Photo credit to Boat Captain David Wolfe. We recently learned from UMass Boston Faculty Member Ana-Marija Frankic that area high school students had found a small population of native oysters in an area near the school. While small in number, the population had been there for several years. 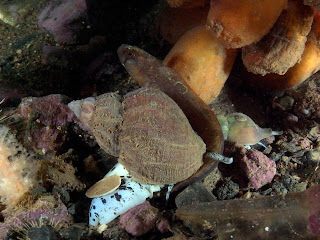 Interestingly, the population contained both European and the native Eastern Oysters (To learn more visit this link.) It is interesting to ponder if Eastern Oysters (crassostrea virginica) are the remnant of what was once a much larger population or more recent arrivals. We know that the European oyster (osstrea edulis) is the result of an accidental release from an aquaculture project decades ago. 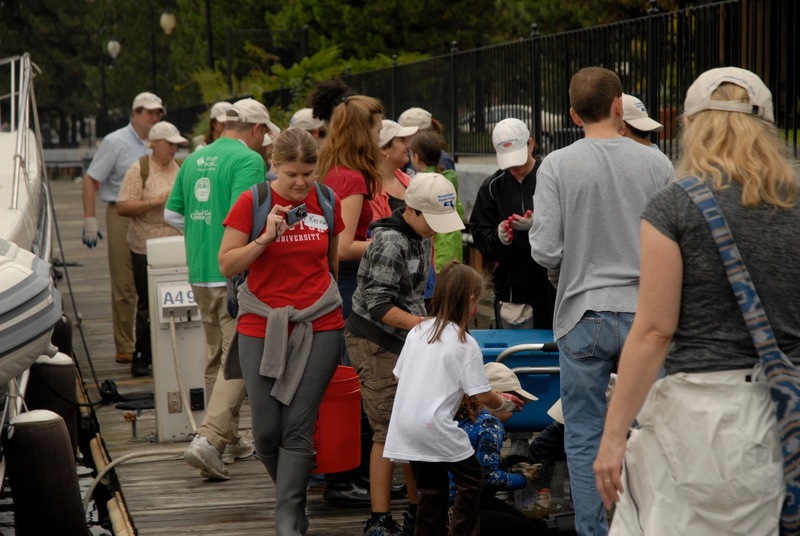 Dr. Frankic is also founder of the Green Boston Harbor initiative and a tireless advocate for improving the quality of the Harbor. Note that Boston Harbor is closed to shellfishing with the exception of steamer clams under special permit, which are sent to a plant for cleansing before introduction into the food system. Here are a few of the creatures that our volunteers were able to see on Saturday. Amazingly, the kids were not shy about handling them, reminding me of exploring Maine tidal pools as a youth. 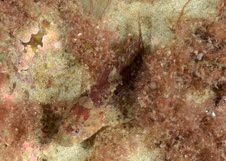 This small fish is ubiquitous in rocky coasts North of Cape Cod. It looks a lot like a small sea robin. We have only seen them at a size of less than 3 inches so they are more cute than intimidating. Also known as the butterfish due to its slipperiness or rock eel, the Rock Gunnel can grow to 15 inches. They are found on both the Atlantic and Pacific coasts, avoiding predators by hiding in nooks and crannies. We come across them frequently and the ones we see are 4-6 inches long. We have found caches of eggs on netting in the fall and perhaps this is the source. 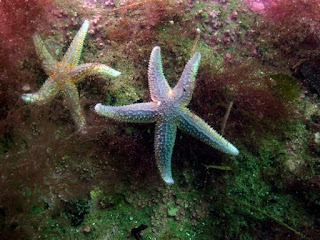 Sea stars, (starfish to me) are not fish as they lack both a spine and fins. They are echinoderms- spiny skinned invertebrates.. Sea stars are able to regenerate lost limbs and in some cases a severed arm can even grow into a complete sea star. At one time fishermen used to cut them up and throw them back into the sea. They were badly mistaken as the vivisectionists were in fact increasing the sea star population. These creatures have a strong affinity for our oysters and we believe they have eaten many of the oysters we have placed.. Our divers have reported seeing hundreds of them on the bottom. 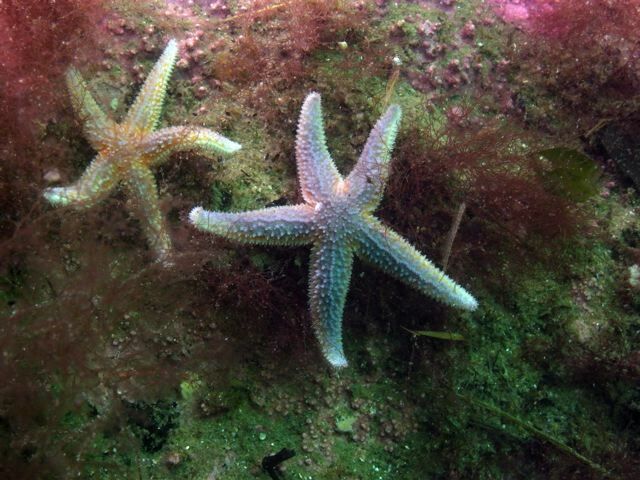 Ideally we should find an area with lower salinity as the sea star has poor osmolar control and they cannot survive in areas without a good deal of salt in the water. Unfortunately, our Scientific Permit limits our options in how/where we place our oysters.